Now that shows like Sense8 have helped massively expand the presence of transgender people in science fiction and fantasy, one of the most venerable TV shows is following suit. 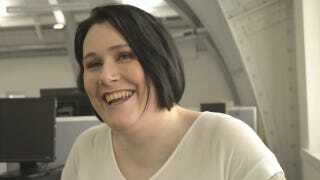 Trans actor Bethany Black is appearing in Mark Gatiss’ upcoming “scary” episode. Contact the author at charliejane@io9.com. Top image: Tofu, Cucumber and Banana.